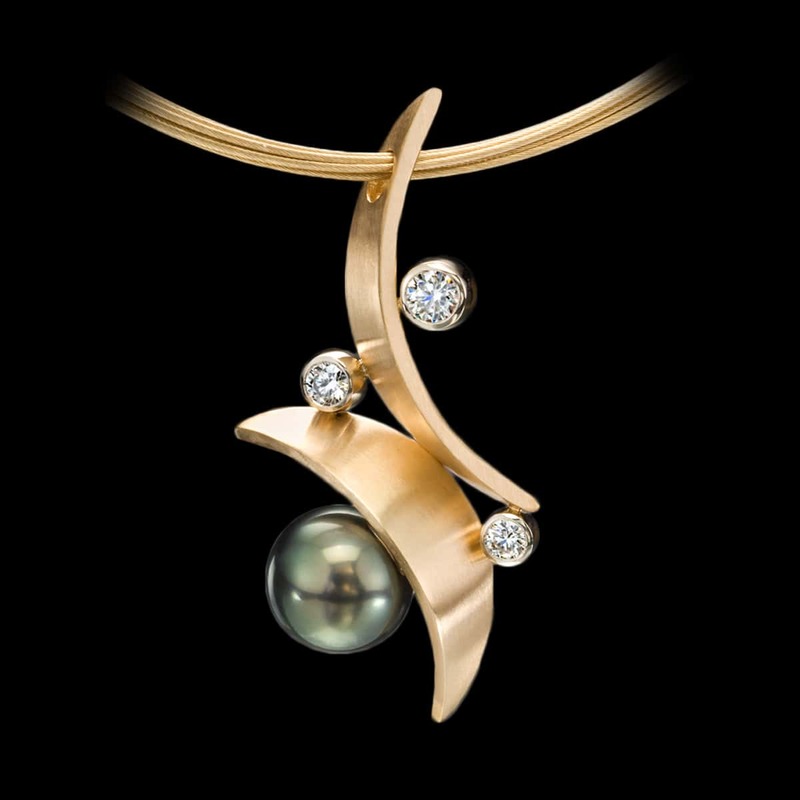 Flamenco Tahitian Pearl Pendant is artistic and exciting. This unique pendant design includes a stunning 10.8 mm AAA Tahitian pearl with peacock overtones accompanied by bezel set diamonds and curves of brushed yellow gold. To purchase, call us at (949) 715-0953 or use our contact form below.